On the second leg of our Ancestry Tour today, my cousin Monique and I visited with my uncle, Henry, paid our respects to our ancestors at three different cemeteries, then bought some voodoo dolls. In the evening, we tracked our ancestors all over town from the Cotton Exchange where my great, great-grandfather, Col. W.R. Stuart conducted business to the Dauphin Avenue house where his brother Alexander cared for their father, William Stuart, while he battled and eventually died of yellow fever. In between pounding the cobblestones of the French Quarters, we stopped at Cafe du Monde to refuel with some beignets and cafe au lait. They were worth every carb! The handmade clock by my cousin, Monique Smith Anderson which includes images of my ancestors. Check out the amazing handmade gift my cousin, Monique gave me today when she came over for a bar-b-que. The picture hardly does justice to her ancestor clock. It includes images of things we’ve found during the year that we’ve been on this journey together, decorated with her special flourishes and finished with a ton of love. Originally, she was going to give me the quote in the bottom part of the clock and have it framed, but then she got inspired to give me something that I might one day pass down to my children. I love that she gave me our family history in the face of a clock, something I can share with my family every day, and a constant reminder that my ancestors are always with me informing my future. From my brother to my great-grandfather, four generations of men in my family have served in the United States Armed Forces. I grew up not far from the New Jersey Air Force base where my father and grandfather were stationed and the Army base where my brother was stationed before being deployed to Iraq. (He’s back now with more stripes on his arm and ready to serve again if called). But I never met or knew much about my great-grandfather who served in World War I, so this month’s Carnival of African-American Genealogy theme honoring our ancestors who served gave me a great opportunity to learn more about him through some research. My great-grandfather, Lifford Emerson Coleman was born in Tennessee on July 28, 1890, something I first learned when I came across his World War I draft card shown above. I’d always assumed that he was born and raised in either Oklahoma where he met my great-grandmother and had two children with her, or in Texas where my great-grandmother was from. Lifford was 28 when he registered for the draft and had a wife and two young children at home. My granny, Louise Coleman Walton was just 2 at the time and her younger brother Bill may have just been on the way. This draft card also shows Lifford’s signature, the only one of his that I’ve ever seen. This draft card alone isn’t proof that Lifford was actually enlisted. But I know from my grandmother’s stories that he did in fact join the Army. She remembers her baby brother being dressed up like a soldier as well as a photo of her father in his actual Army uniform. (If only the ancestry fairy is listening and will make that photo appear!) But even better proof of Lifford’s service is the money she and her brother received from her father’s Army pension. A teacher told her she should save it, so she took it to the post office to deposit it. The woman at the post office at first told her, “I don’t think they let colored do that,'” but Granny was patient, let the woman check with her boss and was granted a safe heaven for her benefits. “I gave them my fingerprints, my money and from then on I always put my money in savings,” Granny said. My great-grandfather died at a young age and met a violent end, but not in the Army. My grandmother once told me he was stabbed to death in a bar. But the other day when I asked her about it, she could only remember that someone killed him. Since he was taken from her when she was so young, she doesn’t remember much about him or what kind of work he did. On his draft card, under occupation it says “labor” and his employer is listed as a railroad company. I only noticed this after I got off the phone with my grandmother, so I look forward to being able to give her some information about her dad and hope that it will cheer her. Armed with Granny’s recollections and this draft card to guide me, I’m sending a request to the National Archives for Lifford’s military records including any pensions received. I can’t wait to see what else his service records tell me about this World War I veteran. Thanks to Lifford and to all who served and thanks to this carnival for prodding me to find out more about my great-grandfather. My husband and daugthers at Gordon, Lucille and John Kurtti's tomb at Gate of Heaven, Hawthorne, NY. This year, we spent part of Mother’s Day at the Gate of Heaven Cemetery in Hawthorne, NY. That’s where my brother-in-law, Gordon Kurtti is at rest with his grandparents, Lucille and John Kurtti. It was our daughters, 7 and 10 who made the request to visit. They never met their uncle Gordon. They thought since it was his birthday on May 4th and Mother’s Day on the 9th, we ought to spend some time with both their Uncle and grandma Claire. That meant our double party would have to take place at the cemetery. Gordon died in 1987, years before I met and married his brother, but I’ve always felt as if I knew him. 25 years after his death, he remains a large presence in the Kurtti family. There is always a place for him at every family celebration whether it’s through some physical symbol (like the plaque below bought for his birthday as a child) or stories at family gatherings, like the time he was honored at his high school graduation for a mural he painted and showed up wearing overalls and a Panama hat, quintessential Gordon style. In our home, one of his sketches is a focal point in our living room hanging on the wall. Upstairs, one of his fashion paintings now resides in our youngest daughter’s bedroom. Every year on Christmas, we hang ornaments that belonged to him. A gifted artist, his creations are still sprinkling beauty in our lives. At the cemetery, my husband let our daughters pick out something to bring to their uncle’s grave and instead of the more traditional flowers, they choose balloons and a happy birthday marker. They ran with excitement through the rows of tombstones looking for the Kurtti grave. I was nervous that the girls were having a little bit too much fun at the cemetery, but my mother-in-law was delighted at their excitement. But there was nothing somber about that visit to the cemetery. The girls found rocks for all of us to leave on the grave. Grandma Claire shared a few stories about fun times with Gordon and explained how everyone had wrongly believed that his birthday was on the 5th like it says on his tombstone, but it was really the 4th. Before we left, we sent Gordon prayers and our daughters led us in a little happy birthday conga line around my brother-in-law’s grave. The cemetery police never showed up to bust us for having too good a time. Both his mom and brother agreed, Gordon would have liked their dance. I’m only sorry neither my daughters nor I got to dance with him in person. I hope you all enjoyed Mother’s Day as much as we did. Do you have any special traditions for keeping the memory of your deceased ancestors alive in family celebrations? 40 year-old "happy birthday" plaque bought for Gordon Kurtti and used to commemorate Kurtti children's birthdays ever since. This week, I’ve been following people, places and things: two blogs, a North Carolina family, and derivations of my great, great-grandmother Tempe’s name. It’s all in pursuit of my next genealogy goal, to find Tempe Burton’s’s birthplace and her parents. On Monday, I shared here that in researching Judith Boddie Jones, a woman who once owned my great, great-grandmother, Tempe, I discovered, Judith’s sister was named Temperance. Too much of a coincidence for me to pass up, I’ve been hunting down the Boddies of Nash County, North Carolina ever since in hopes of finding out more about my ancestor. Temperance Boddie was also called Tempe. I’ve always wondered where the spelling “Tempe” and name came from as my great, great-grandmother is named on her gravestone and several census documents. It always struck me as a misprint (shouldn’t it be Tempy with a “y?”), or perhaps short for something else. Could it be that Tempe was named for a member of the family that owned her? Temperance Boddie’s sister, Judith Boddie Jones was one of my great, great-grandmother’s last owners. I found this information about Temperance “Tempe” Boddie in a google book. Boddie Family Bible This bible is filled with births and deaths for the Boddie clan spanning about a century. It didn’t mention Temperance, Judith or any slaves that I could see, but it gave me hope that more useful records about this family exist. I found this bible on Renate’s blog, Into the Light. I’ve enjoyed Renate’s posts since joining this community ranging from personal history to genealogy resources, but after she replied to my Monday blog that she had come across the Boddie name often in her North Carolina research, I decided to give her site a closer look. Listed as a resource on Renate’s site is the North Carolina Family Records online. That’s where I found the Boddie family bible. John William Boddie died in Jackson, Mississippi. That’s where Tempe lived as a slave to her final owner, Elizabeth McCauley, Judith Boddie Jones’ granddaughter. Could John be related to Judith B. Jones as well? I found Boddie’s obituary while perusing Taneya’s Genealogy blog. A medical librarian, Taneya’s penchant for gathering research materials is evident all over her blog and impressive website which boasts a thorough family tree. Taneya also coordinates several USGen Web projects including the North Carolina portal. It was there that I found Boddie’s obituary as well as election results that showed a W.W. Boddie was elected to the Senate in 1826. Incidentally, my third great-grandfather, William Stuart Sr. (Elizabeth’s father-in-law) was also in the Senate during that time, but in Maryland. 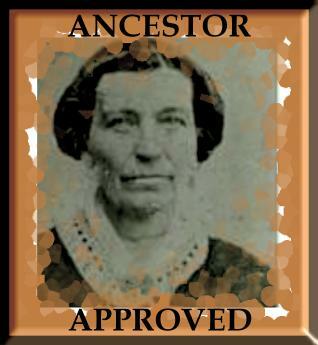 This big genealogy world is growing smaller every day with every century retraced. Thanks Taneya and Renate for all the great resources you share along with your family’s stories. They’ve inspired me to create a resource list of my own. But first a break to celebrate my b’day and Mother’s Day with my families. I’d love suggestions on where to look (and who to follow) on the next leg of this adventure. Who and what are you following?